CoreLogic RP Data offer words of caution on housing supply and provides the data for each State. They recommend that prospective buyers factor supply levels into their housing market analysis and undertake additional research where they fear an area may be in oversupply or at least moving in that direction. Landlords in many parts of Australia continue to reap strong returns, as healthy rental demand and low supply push rents up to a whole new level. The 200 Fastest Rental Growth Suburbs report compares median rental data for the last 12 months with the corresponding period 12 months prior. Which Australian suburbs and states had the fastest rent growth? The Residential dwelling values in Melbourne returned to trend in January with a 2.7 per cent rise in the latest home value indices results. Robert Larocca of CoreLogic RP Data reports on why Melbourne house owners are on track for another year of growth. The RBA has cut the cash rate by 25 basis points to 2.25 per cent, effective 4 February 2015. Martin North from Digital Finance Analytics gives a full report on the RBA decision and why a further reduction in the cash rate was appropriate. Melbourne’s housing market remained solid in the final quarter of last year, with the city’s median house price of $669,000 up five per cent on the September quarter. 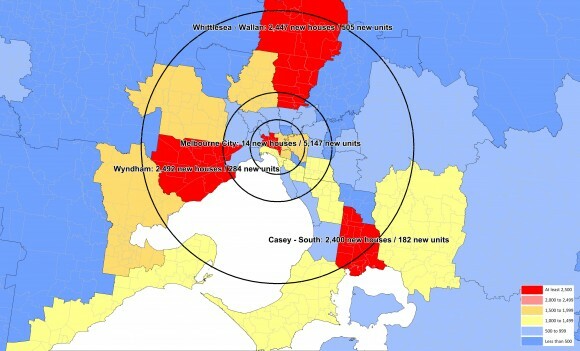 Prices increased in inner, middle and outer suburbs. REIV chief executive officer Mr Enzo Raimondo reports on the latest REIV quarterly results released. The ageing of Australia is becoming a more frequently discussed topic, and so it should. In 1970, Australians aged 65 or more accounted for just eight per cent of the population. This rose to 13 per cent in 2001 and will rise to one in every four Australians by 2042. What role does architecture play in preparing Australia for a very different demographic future?